Mediation can resolve a dispute in a quick and less-costly way. When it comes to lawsuits, most of them are settled before a trial can even begin. However, despite this, the increasing costs of settling through the litigation route have caused some growing concerns. Note that two of the most common settlement routes outside a courtroom are arbitration and mediation. Both have their benefits in their own way when it comes to construction claims management. However, by choosing to resolve these disputes through the process of mediation, one can save time, money, and the hassle of dealing with the associated financial risks. What Exactly is Mediation and How Can it Settle a Dispute? The “laidback” method of settling a dispute comes in the form of a mediator and both parties attending a meeting to discuss a mutually beneficial conclusion. Mediation is an informal settlement process. It’s also a non-binding process that involves both parties to reach a voluntary resolution. Note that both parties must agree on the mediation process. 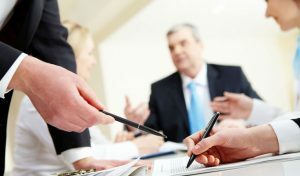 The goal of mediation is simple: reach a mutually agreeable solution for the dispute at hand – as opposed to the legally enforced reward route of arbitration. Attorneys are not required during mediation. However, many parties have an attorney present with them for a majority of the process. An attorney may or may not have a sizeable impact on the outcome – it depends on how the negotiations process pans out. Many individuals look to construction consulting services for tips on how to approach the claim prior to the mediation process. What Happens If There is No Outcome At the End? If there is no settlement reached at the end of the mediation process, both parties aren’t losing out on anything. Essentially, they aren’t in any worse or better legal position than they were prior to entering the mediation process. It’s a win-win situation for both parties. Consider it as an informal face-to-face discussion. If there is nothing solved between anyone, then no harm no foul. Following up on this, one of the advantages that mediation brings to the table is that if there is no resolution after the process, both parties will have a better understanding of each party’s arguments. This can later prove to be the decisive information necessary to win the case when they prepare to arbitrate or litigate down the line. Note that under California law, statements and admissions that are made during the mediation process cannot be used as evidence in a later trial – this goes the same for written documents as well. Lyle Charles has the experience and knowledge when it comes to construction medication cases. If you are looking for a construction expert witness that knows the ins and outs of the construction field, look no further than Lyle Charles.